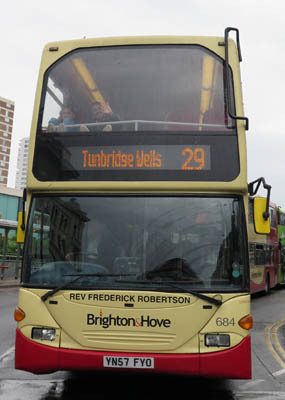 Connections with Brighton and Hove : More than 150 years after his death, people still come to the former Holy Trinity Church in Ship Street, Brighton, because that is where the Rev Frederick Robertson used to preach. 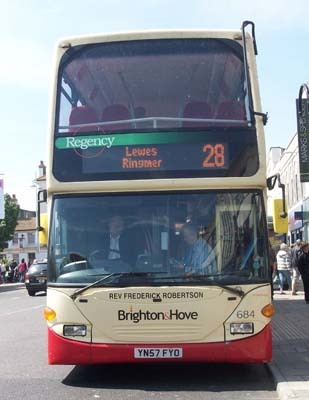 Known as Robertson of Brighton, he was one of the most famous Anglican preachers of the 19th century. He was revered by the rich and famous such as Lady Byron, widow of the poet, Charles Dickens and Queen Victoria but also by the poor whom he helped greatly. Robertson formed a working men's institute in Brighton which later became known as the Mechanics Institute. He preached at Holy Trinity for only six years until his early death at the age of 37 and no one who heard one of his fiery, eloquent sermons ever forgot it. People would queue the length of Ship Street to hear him. When he died, 1,500 people, mainly from the poor, formed a column nearly half a mile long to walk behind his coffin as it went to the Extra Mural Cemetery. Nearly all the shops on the route closed as a mark of respect. 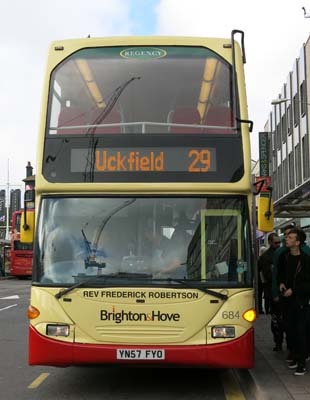 He lived mainly in the Montpelier area of Brighton and a plaque on his home in Montpelier Road calls him an older brother among Christians. 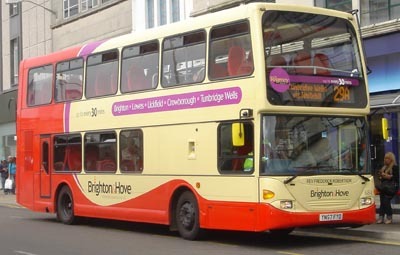 684 Scania Omnidekka - carried name since August 2008 in Regency livery. 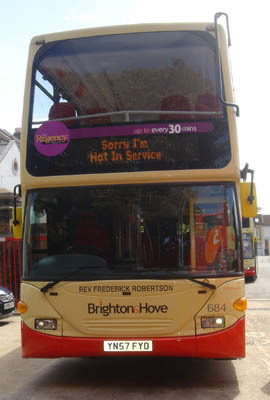 Name originally displayed on 686 until June 2008. 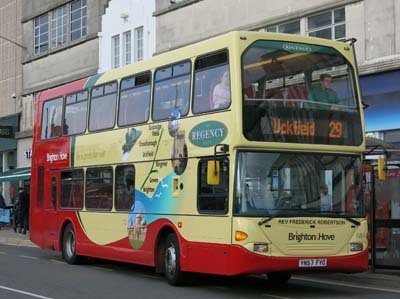 Regency branding changed March 2011. 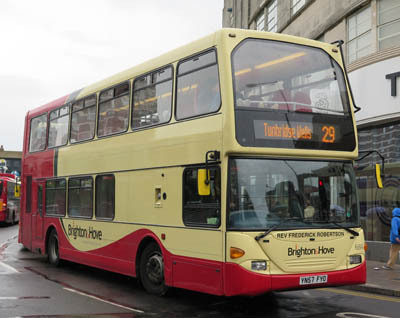 Repainted into revised Regency livery October 2014. 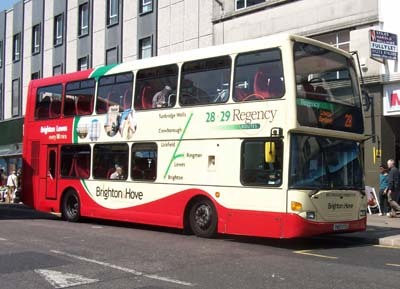 Regency branding removed May 2016.